Unlike a lot of spinach dip recipes that use a vegetable soup mix, this recipe calls for leek soup mix. The flavor is amazing. I received a lot of compliments when I made this for a party. 1. In a medium bowl, mix together mayonnaise, sour cream, dry leek soup mix, water chestnuts and chopped spinach. Chill in the refrigerator 6 hours, or overnight. 2. Remove top and interior of sourdough bread. Fill with mayonnaise mixture. 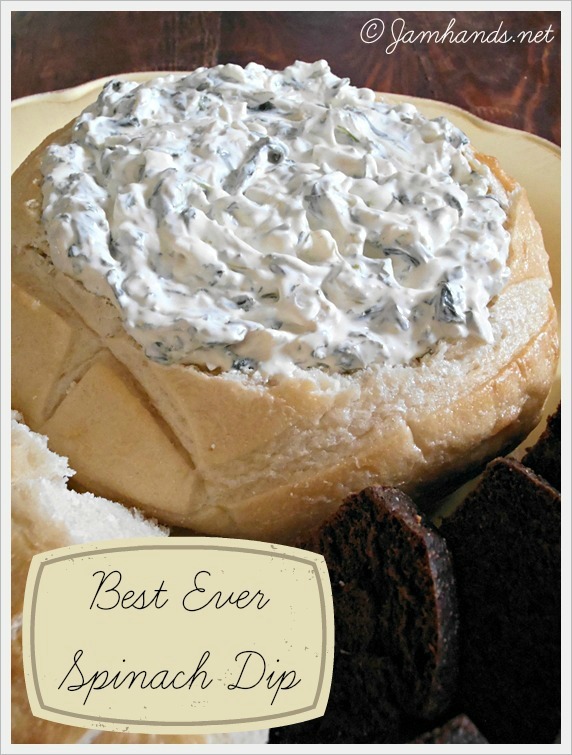 Tear removed bread chunks into pieces for dipping. Hope you had a great day and got lots of awesome stuff!!! wow..you actually made all the food for your own baby shower? Talk about a brave and generous girl! Hope you can get some rest today! Did you get lots of cute prezzies for the little one? You are an amazing little Martha-ite. Lucky baby! Wait! You have to tell us how the shower went! Details! Please! So what did you get??? Don't keep AM and I hanging???!!!! 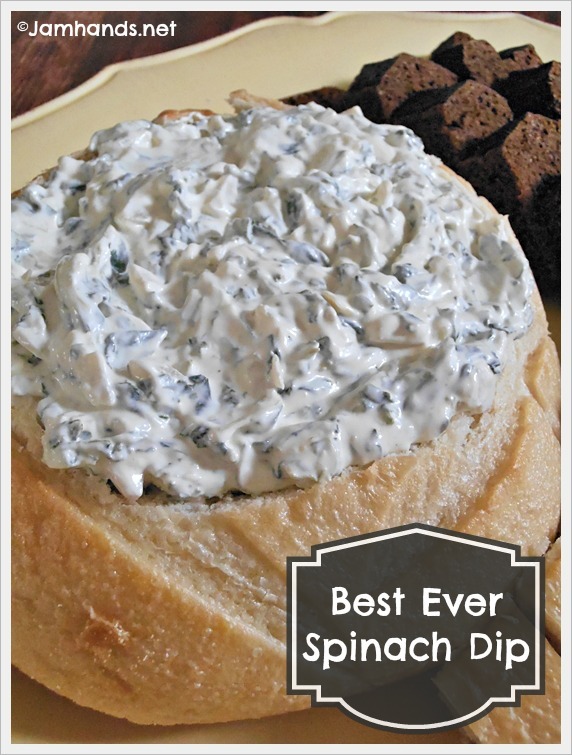 I make that same spinach dip but add Mozarella cheese to taste, yummy!!! Love your website! 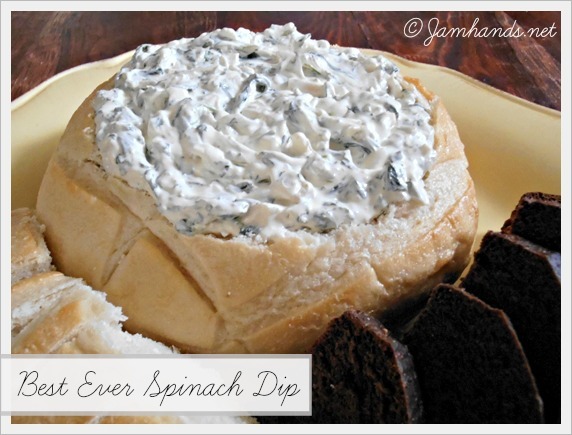 Lots of variations out there for spinach dips! Always great to hear new ideas.